We Heat & Cool the Impossible! 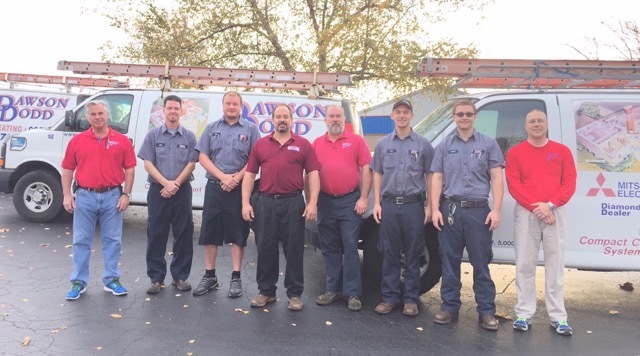 At Dawson Dodd, we believe in providing our customers with the best value and quality service available in the St. Louis Area. 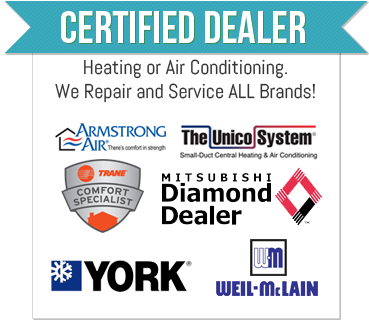 We have constant radio contact with all of our technicians to provide timely service. When you buy from Dawson Dodd, you buy quality and you get service. We have a team of highly skilled technicians to service all brands of equipment. Our staff of professionally trained people will work to ensure each sales or service call is responded to in a very respective, courteous and timely manner that makes you comfortable with having our employees in your home. That's how we earned our A+ rating from the Better Business Bureau. We pride ourselves on our service and that is what keeps our customers coming back. When you call Dawson Dodd, you won't be forced to talk to a machine and you can be sure to get prompt service. If you are one of our satisfied customers with a Warranty Service Plan, you can count on same-day service for calls placed before noon. You'll find that even when a job seems impossible, Dawson Dodd has the right products, knowledge and craftsmanship to guarantee a job well done.